Tuesday and Thursday mornings at 6am. Get your day started right with the Forteza Early Bird Bootcamp training class! Are you looking for a jump-start to your fitness program? 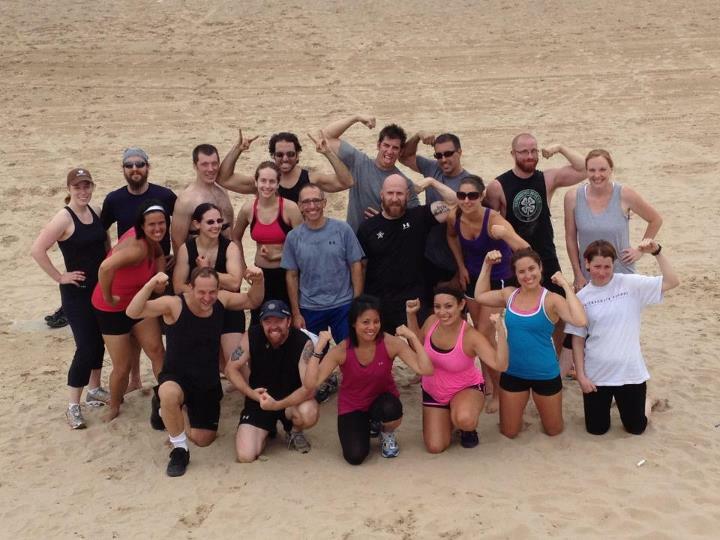 People of all fitness levels, sizes and ages are gaining great results with Forteza Bootcamp training, and you can too! Whether you are new to working out, a fitness enthusiast or just bored of the same old workout week after week, then this is the class for you. This is our most intense bootcamp offered at Forteza Fitness! Whether you’re training for an adventure race, looking for a serious physical challenge, or need to burn off 500+ calories, then this is the class for you. No two Spartan Bootcamps are the same; expect anything from kettlebell workouts, circuit training, outdoor runs, hill sprints, and more! Check out blog for examples of the kinds of workout challenges our Spartans take on every Sunday morning. Get fit, bui ld confidence, and feel like a warrior with Chicago’s most unique boot camp: FightingFit! Swordfighting is one of the most effective forms of cross-training available. It combines aerobic and anaerobic exercise with a diverse workout that builds core strength, cardiovascular fitness, hand-eye coordination, balance, and timing; all through practicing a fun and engaging martial art.